Take Over Tuesday at The Grey Lady! Psssst! It’s my birthday and I don’t usually make a big thing about it but this year, I am making an exception. FOR ONE NIGHT ONLY.. I am taking over the Grey Lady to curate a special show as a thank you to all the people I have met along the way. 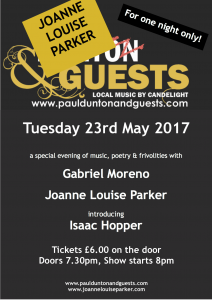 There will be music, poetry and a few other surprises…. 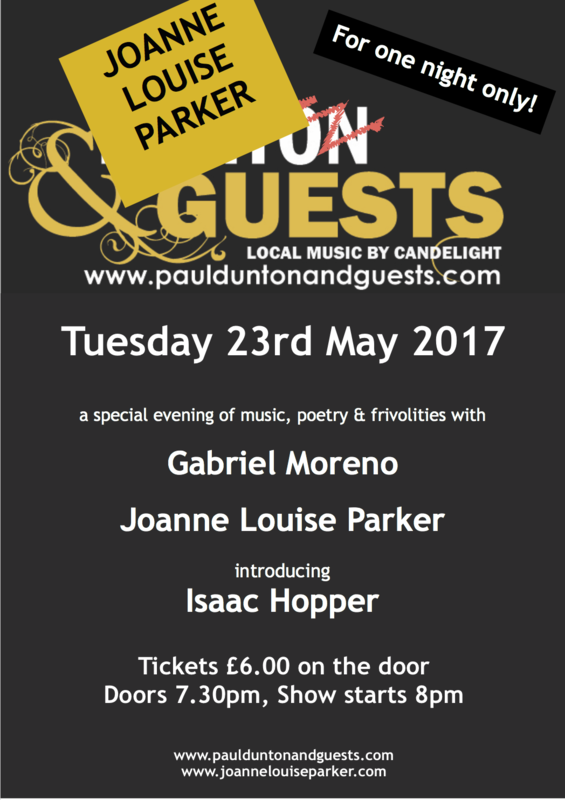 On the bill this special evening will be: Musician and Poet Gabriel Moreno, a glittering set from yours truly Joanne Louise Parker and a debut set from Isaac Hopper on the guitar and a few other surprises sprinkled in along the way.